Oakland hosts the 5th annual Pedalfest on Saturday. PedalOakland celebrates all things cycling on Saturday with Pedalfest (11 a.m. – 7 p.m.) at Jack London Square. 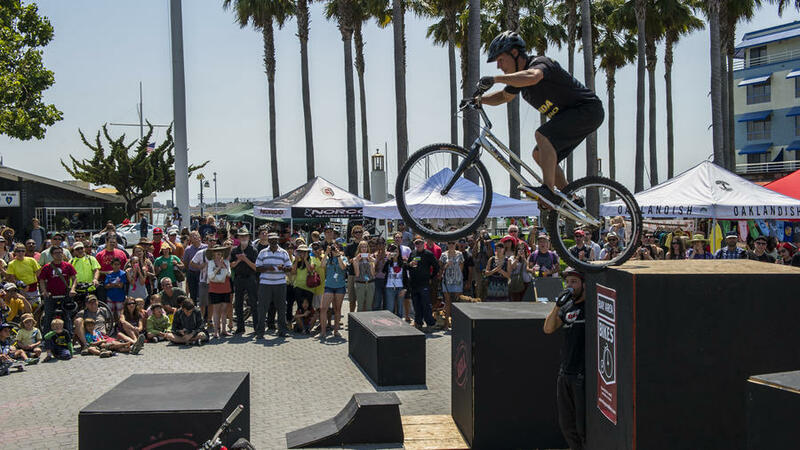 Check out stunt riders wheeling around a 30-foot, banked wooden dome, pedal-powered art and food vendors, unicycle basketball games, bike polo matches, and a pop-up stunt park (pictured above). PaddleDenver’s 5280 magazine rounds up the best places to kayak in Colorado for all skill levels. Raise a glassThe best way to celebrate National Tequila Day on Friday? Read about Nino Padova’s adventures on the Tequila Trail in Jalisco, Mexico, with a glass of agave juice in hand. See a show or threeSan Diego is hosting its third annual Fringe Festival this week (July 23 – Aug. 2)—expect music, theater, mimes, and dance performances at venues across downtown and, this year, a few in Tijuana, as well. Take a virtual hikeI’ve said it before, and I’ll say it again: This Pacific Crest Trail video is a great little three-minute escape. Want more travel inspiration? You can find past travel roundups here, here, here, here, here, here, here, here, here, and here!